He “did it again,” Benjamin Netanyahu gushed a few days ago. Israel’s prime minister was talking about another glittering prize U.S. President Donald Trump had presented to Israel on a silver platter. Netanyahu was referring to Trump’s historic tweet on March 21 recognizing Israel’s occupation of the Golan Heights, captured from Syria in the 1967 Six Day War. Netanyahu, who had been lobbying hard for this sharp reversal in American policy, called it “a miracle of Purim,” the Jewish holiday that was marked in Israel and the Diaspora recently. 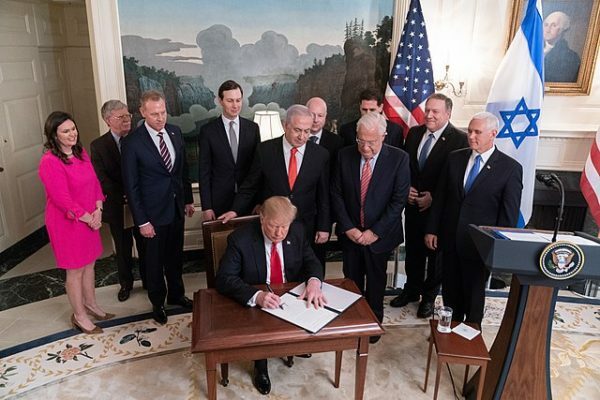 On March 25, Trump went further, signing an official proclamation in the White House formally recognizing Israel’s 1981 annexation of the Golan. “Today I am taking historic action to promote Israel’s ability to defend itself, and really to have a very powerful, very strong national security, which they’re entitled to have,” said Trump, who had already drastically altered U.S. policy, and pleased the Israeli government, by withdrawing from the Iran nuclear agreement, recognizing Jerusalem as Israel’s capital, moving the U.S. embassy in Tel Aviv to Jerusalem, and cutting off funds to the United Nations Relief and Works Agency, which supports several million Palestinian refugees in the Middle East. Trump’s sudden recognition of Israel’s sovereignty over the Golan surprised even Secretary of State Mike Pompeo, who was in Israel on a visit when Trump made his announcement. Before Trump issued his tweet, Pompeo said that Washington’s longstanding policy of not recognizing Israel’s conquest of the Golan would remain intact. On March 26, Pompeo said that Trump’s proclamation — which was denounced by the Arab world, Turkey, Russia and the European Union — did not mean the United States would recognize Israel’s sovereignty over the West Bank. 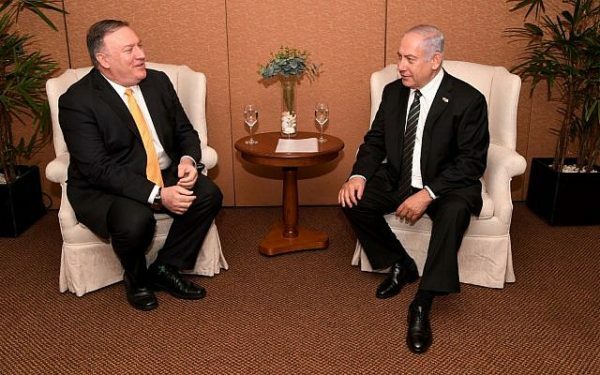 Contradicting Pompeo, Netanyahu asserted that land taken in wars of self-defence can be annexed. The U.S. ambassador to Israel, David Friedman, suggested that the Trump administration would not force Israel to relinquish the West Bank, which is claimed by the Palestinians. Pompeo further said that Israel’s conquest of the Golan occurred during “incredibly unique” circumstances, when it was “fighting a defensive battle” to preserve its nationhood. Pompeo’s comments on the Golan represented a 180 degree departure from previous American policy. 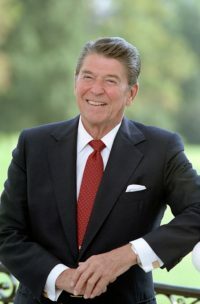 Shortly after Israel’s annexation of the Golan, U.S. President Ronald Reagan temporarily suspended a strategic cooperation accord with Israel and stopped the shipment of advanced aircraft to Israel for a while. Enraged by Reagan’s measures, the Israeli prime minister, Menachem Begin, said that Israel was not a “banana republic” the United States could cavalierly order around. 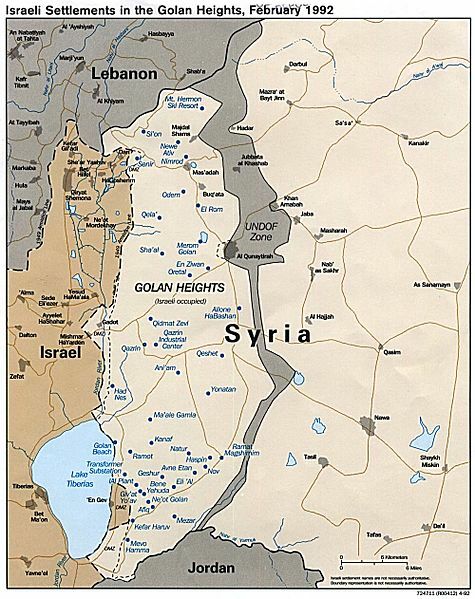 Reagan’s Republican and Democrats successors followed his lead and regarded the Golan as an occupied area and urged Israel to return it to Syria in exchange for a peace treaty. On-again, off-again peace talks between Israel and Syria, which began in the early 1990s and ended before the eruption of the Syrian civil war in 2011, yielded no tangible results. The Trump administration’s adoption of a new policy on the Golan was incremental. Last autumn, in an unprecedented move, the United States voted against a United Nations resolution condemning Israel’s occupation of the Golan. And last week, in what turned out to be a precursor to Trump’s tweet, the U.S. State Department used the phrase “Israeli-controlled” rather than “Israeli-occupied” to describe the status of the Golan. This dramatic shift was driven, in part, by Republican Party leaders. 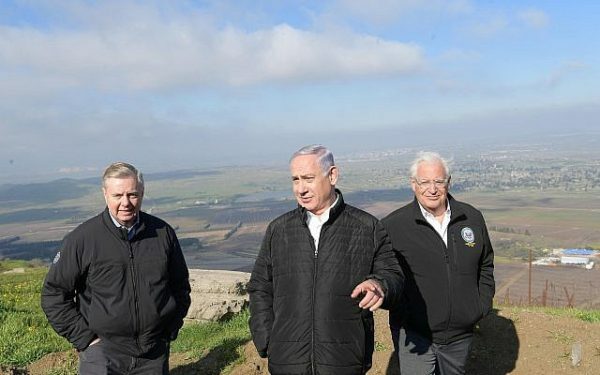 The trio urged Congress to pass legislation that would formally “recognize Israel’s sovereignty over the Golan Heights.” Similar bills in the Senate and House of Representatives, introduced by Cruz and Gallagher, would consider the Golan as Israeli territory in any spending and trade bills, while approving joint scientific and agricultural projects there. Netanyahu, campaigning for reelection on April 9, has greeted Trump’s new policy ecstatically. After Trump signed the Golan proclamation, Netanyahu was even more emphatic. “We hold the high ground, and we shall never give it up,” he declared. 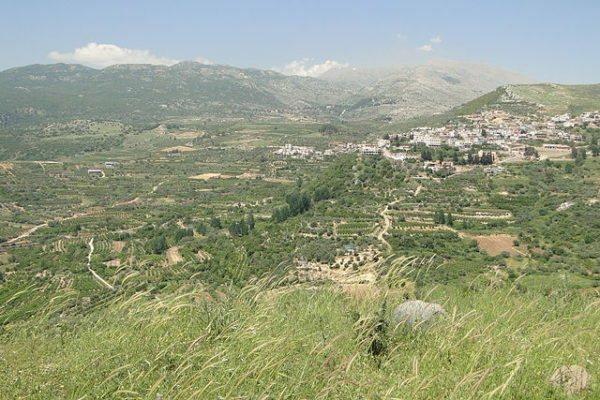 Prior to the Six Day War, Syrian forces on the Golan regularly shelled Israeli communities in the valley below. Israel, in a blitzkrieg, conquered the Golan on the final day of the war. Since then, Israel has built a network of settlements on the Golan, which is inhabited by about 25,000 Jewish settlers and 23,000 Druze, some of whom have accepted Israeli citizenship but many of whom still profess loyalty to Syria. 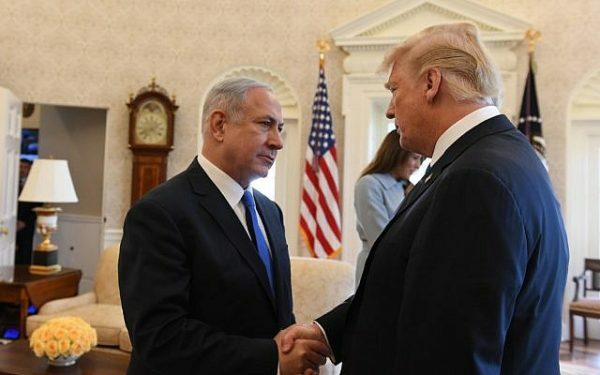 Trump’s proclamation may help Netanyahu win reelection. Having been informed by Attorney General Avichai Mandelblit on February 28 of his intention to indict him on charges of bribery, fraud and breach of trust, Netanyahu can use whatever assistance comes his way. The proclamation may also prove useful to Trump politically. Such blatantly partisan claims, whether sincere or cynical, cannot be taken seriously. But in the wake of Trump’s recognition of Israeli sovereignty over the Golan, some Jewish Americans are bound to buy into the Trump administration’s dubious assertions.